Motion blur due to camera motion can significantly degrade the quality of an image. Since the path of the camera motion can be arbitrary, deblurring of motion blurred images is a hard problem. Previous methods to deal with this problem have included blind restoration of motion blurred images, optical correction using stabilized lenses and special CMOS sensors that limit the exposure time in the presence of motion. 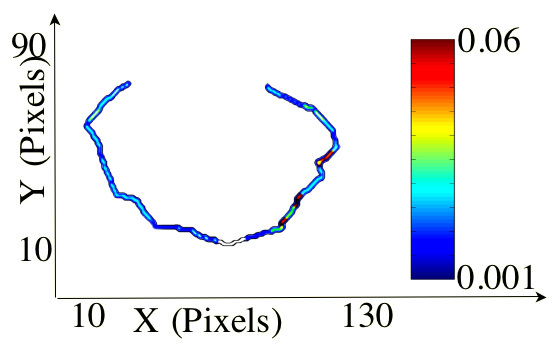 In this project, we exploit the fundamental trade-off between spatial resolution and temporal resolution to construct a hybrid camera that can measure its own motion during image integration. 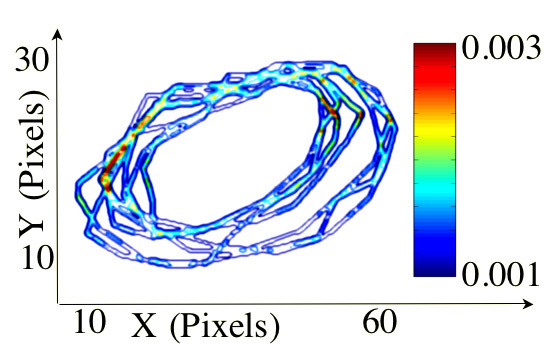 The acquired motion information is used to compute a point spread function (PSF) that represents the path of the camera during integration. 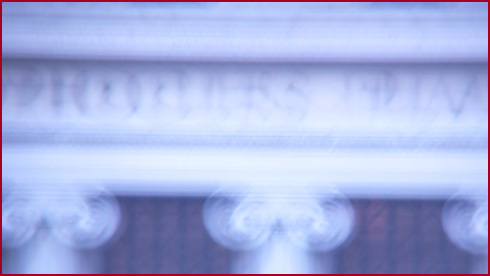 This PSF is then used to deblur the image. To verify the feasibility of hybrid imaging for motion deblurring, we have implemented a prototype hybrid camera. This prototype system was evaluated in different indoor and outdoor scenes using long exposures and complex camera motion paths. The results show that, with minimal resources, hybrid imaging outperforms previous approaches to the motion blur problem. Vol. 26, No. 6, pp. 689-698, Jun. 2004. "Motion Deblurring using Hybrid Imaging,"
Vol. I, pp. 657-664, Jun. 2003. The hybrid camera prototype used in the project is a rig of two cameras. The primary system consists of a 3M pixel Nikon CoolPix camera equipped with a 6 Kenko zoom lens. 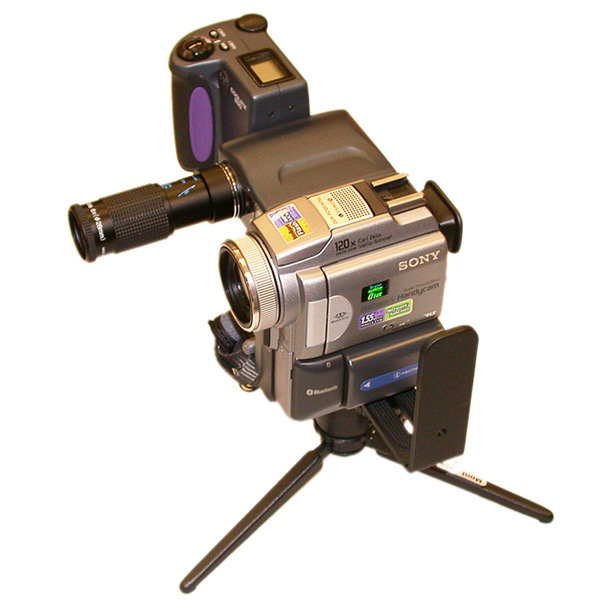 The secondary system is a Sony DV camcorder. The Sony camera images were reduced in size to simulate a low-resolution camera. 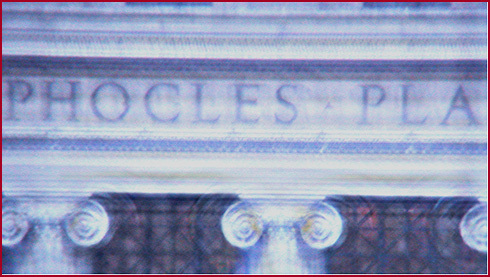 This image was captured by the primary system. The image exposure time was one second and the focal length was 633mm (35mm equivalent). This PSF was computed from the image sequence that was captured by the secondary system. 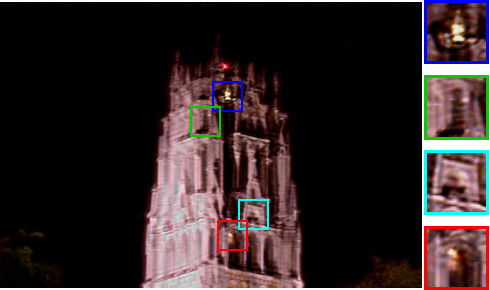 The X and Y axes span the spatial motion of the camera, while the color indicates the duration of image integration at each point (the speed of the moving camera). This image was computed using the captured primary image and the computed PSF. It is the final output of the hybrid imaging system. This PSF was computed from the image sequence captured by the secondary system. The X and Y axes span the spatial motion of the camera, while the color indicates the duration of image integration at each point (the speed of the moving camera). This image was computed using the captured primary image and the computed PSF. It is the final output of the hybrid imaging system. The magnified image regions show details. This is the image sequence captured by the secondary camera.